Even the simplest hairstyle looks that much better if it's all wrapped up in a cheery patterned scarf. Twist it, tie it, wrap it! If your hair's your crowning glory, doesn't it deserve an accessory to match? A Peace Treaty Vaturi Pink Scarf, $255, available at A Peace Treaty. 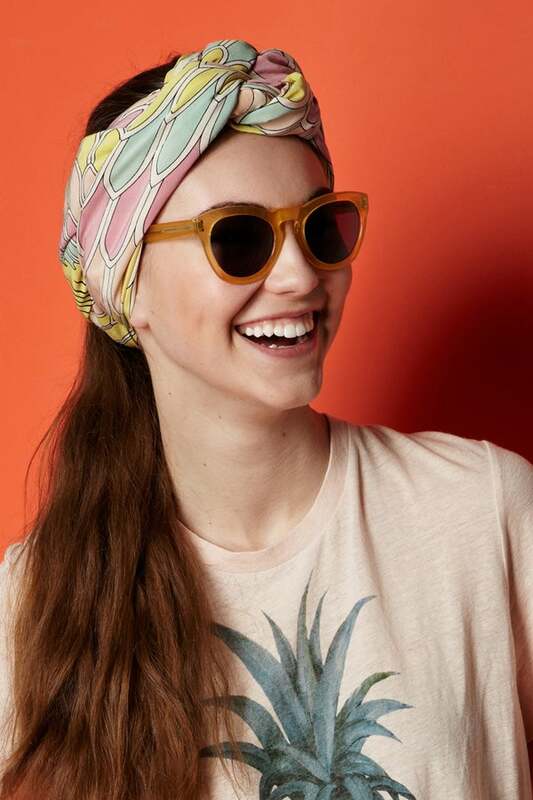 Styled with H&M Pineapple Tee, $17.95, available at H&M; Cutler and Gross sunglasses. Modeled by Hannah Sides at Major; Styled by Haley Loewenthal; Hair and Makeup by Bethany Brill; Set Design by Marie-Yan Morvan.